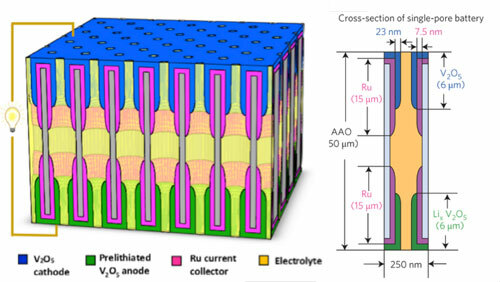 Electrochemical nanostructures for enhanced electrode materials and solid state battery. Most people are naturally adept at reading facial expressions - from smiling and frowning to brow-furrowing and eye-rolling - to tell what others are feeling. Now scientists have developed ultra-sensitive, wearable sensors that can do the same thing. 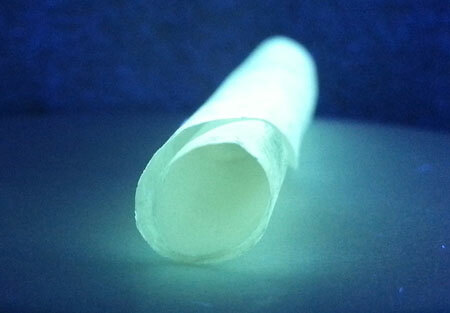 Researchers have developed the first light-emitting, transparent and flexible paper out of environmentally friendly materials via a simple, suction-filtration method. Over the last seven years, Javier Sanchez-Yamagishi has built several hundred nanoscale stacked graphene systems to study their electronic properties. Alliance to Advance Research for Occupational Safety and Health in Nanotechnology Industry to be nchored at statewide SUNY Poly sites. 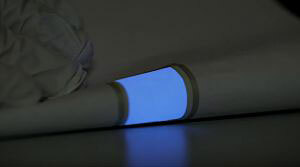 Conventional electroluminescent foils can be bent up to a certain degree only and can be applied easily onto flat surfaces. A new process now allows for the direct printing of electroluminescent layers onto three-dimensional components. Little is known about how the proteins forming ion channels - the 'pores' on the cell membrane - change when they open and close, especially the portion that is 'embedded' in the membrane. Scientists have invented a method, based on the combined and innovative use of known techniques, which allowed them to observe in detail a specific membrane protein and its structural changes. 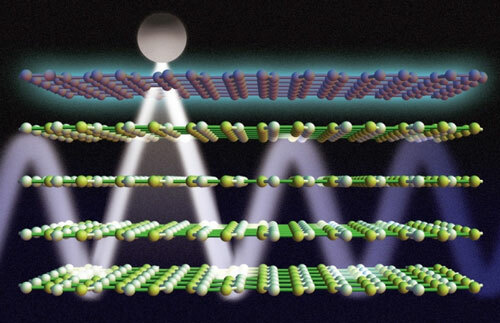 Researchers have found a way to couple the properties of different two-dimensional materials to provide an exceptional degree of control over light waves. They say this has the potential to lead to new kinds of light detection, thermal-management systems, and high-resolution imaging devices. Today, at the IEEE IITC conference, nano-electronics research center imec and Tokyo Electron Limited (TEL) presented a direct Cu etch scheme for patterning Cu interconnects. The new scheme has great potential to overcome resistivity and reliability issues that occur while scaling conventional Cu damascene interconnects for advanced nodes. Scientists successfully developed gold nanoparticles that have functional surfaces and act on osteogenic differentiation of stem cells. 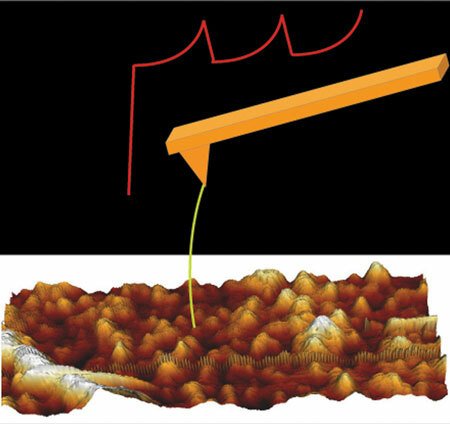 Researchers have successfully developed a nanoporous gold material with a regular, uniform pore arrangement using polymers as a template. The US Environmental Protection Agency (EPA) proposed a new rule detailing one-time reporting and record-keeping requirements for manufacturers and processors of nanoscale materials under Section 8(a) of the Toxic Substances Control Act (TSCA). 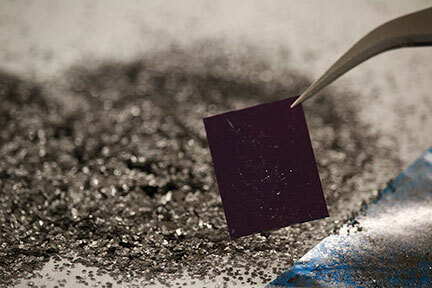 A new ink formulation allows for the 3-D printing of graphene structures. Graphene takes an important step toward commercial applications like wearable wireless devices and sensors connected to the Internet of Things. Why do some cancer cells break away from a tumor and travel to distant parts of the body? A team of oncologists and engineers teamed up to help understand this crucial question. 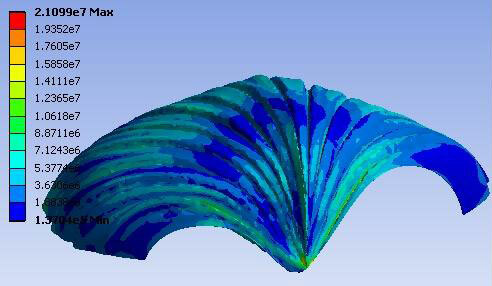 By modeling the average mollusk's mobile habitat, researchers are learning how shells stand up to extraordinary pressures at the bottom of the sea. The goal is to learn what drove these tough exoskeletons to evolve as they did and to see how their mechanical principles may be adapted for use in human-scale structures like vehicles and even buildings.